hello everyone! I'm here today to share a new class in studio calico that i am really excited about! presenting... paint.plan.play by ashley goldberg!!! yay! i am a big fan of her designs after studio calico invited her as a guest designer for july - penny arcade. 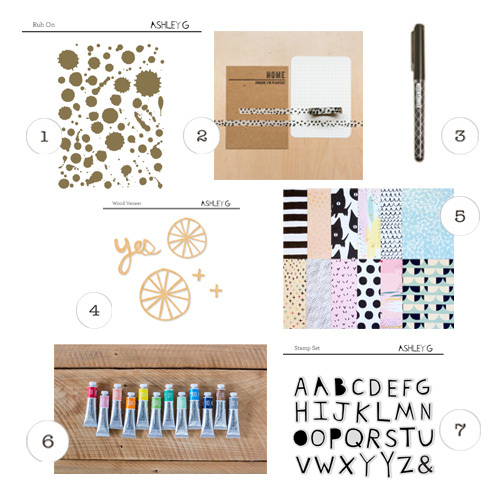 love her whimsical designs and i'm so glad she is now having this class at studio calico! here's the description of the class! we've all experienced it – the frustration of sitting in front of a blank page for hours and still coming up empty. well, we've got the remedy: cutting-edge artist ashley goldberg. 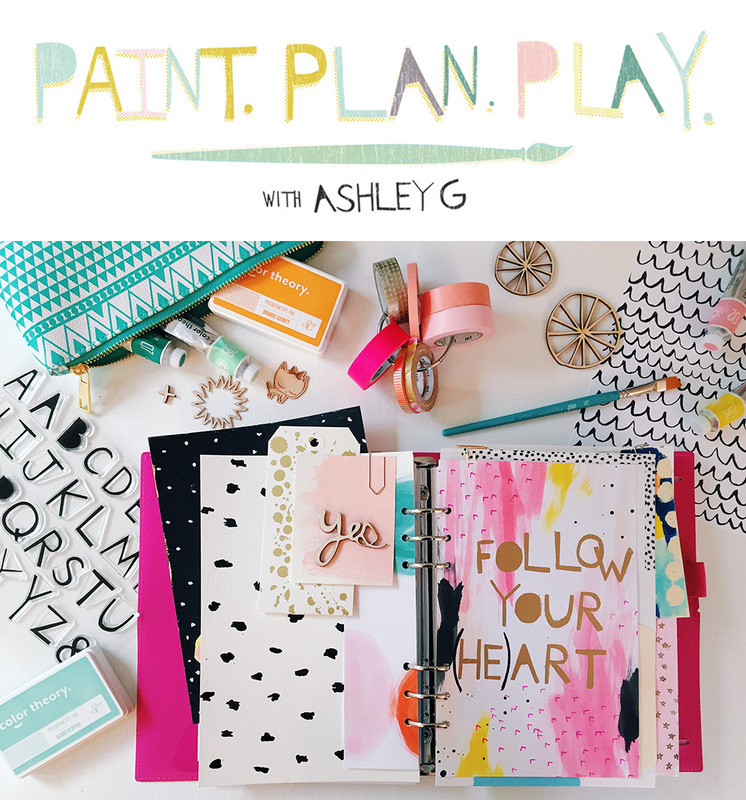 ashley’s come wielding her brush and paints to invite you into paint.plan.play, an “art” class designed for scrapbookers. grab the paints and brushes you've been collecting and let ashley help you tap into the creativity you've got hiding inside yourself. paint.plan.play will begin on november 1st. do take note that the last i checked, these goodies are almost half way gone! so hurry! you will also be happy to know that ashley is now coming up with digital goodies for this class! the details are not out yet but we should be able to see them soon! last but not least, do check out the exclusive class supplies available in the shop! i couldn't resist and picked these up myself! 1. gold splattered rub ons - i love paint splatters especially when they are gold! 2. skinny washi tape - i love polka dots so i couldn't say no to this! 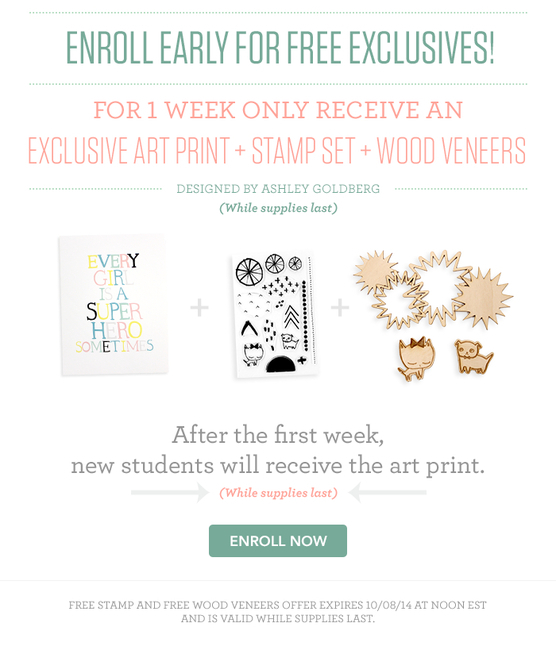 4. wood veneer shapes - these wood veneer shapes are designed by ashley for this class! 5. ashley goldbery 12 patterned pages - i'm most excited about these papers! they are 6 X 8 inches in size so they will be perfect for your art journal or we can fit them in handbooks! i even thought of framing them up as wall deco! 6. color theory paint bundle - i bought these set of acrylic paints during last month and i haven't open them up yet. they are now perfect for this class! 7. stamp set: alpha ashley goldberg - i love studio calico alpha sets so i wouldn't miss this one designed by ashley! to sign up or to find out more details on the class, click here. thanks for dropping by my blog and i hope to see you in class! SC Inspires Blog Hop and Giveaway!